High Definition Giclee modern canvas printing artwork, picture photo printed on high quality canvas. A perfect Christmas and New Year gifts for your relatives and friends. A perfect choice for wall decoration and home decorations. For the detail size, please see the description below. Due to different brand of monitors, actual wall art colors may be slightly different from the product image. In order to ensure that your painting arrives to you in pristine condition, we will let the painting dry a few extra days, increasing processing time. We assure you that your painting is worth the wait. If you have any questions about this product by Rosie, contact us by completing and submitting the form below. If you are looking for a specif part number, please include it with your message. 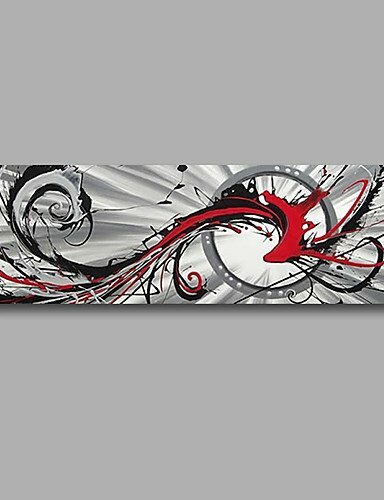 Large 24" Modern Abstract - Wall Decor Art - Original Oil Canvas Painting - Stretched Signed By Mark Kazav - Must Have! © 2019 - whenartimitateslife.com. All Rights Reserved.